We are a leading Manufacturer of polymer chain conveyor parts from Ankleshwar, India. We are fabricating Polymer Chain Conveyor Parts that are precision engineered with our engineers and designers. These Polymer Chain ConveyorComponent are widely used for various applications in different industries. 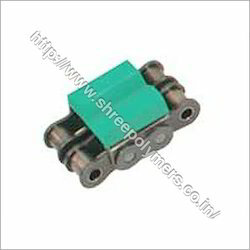 We make use of quality raw material in manufacturing our Polymer Chain Conveyor Component. We offer our clients with a specially designed array of Polymer Chain Conveyor that deliver highest levels of performance at all times. In order to ensure optimum quality. Looking for “Polymer Chain Conveyor Parts”?